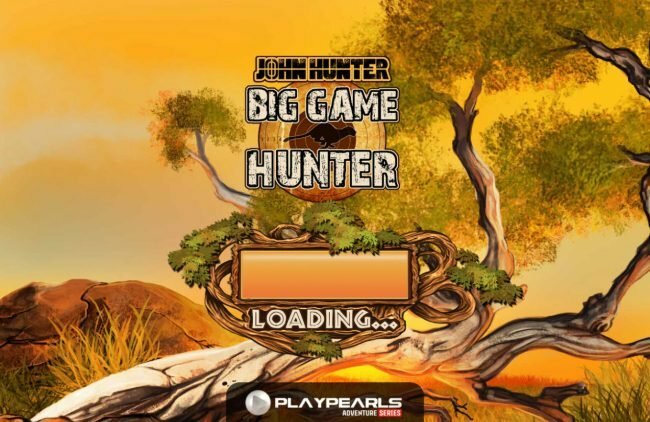 Slot review of Big Game Hunter online slot created by Play Pearls with 25 lines and 5 reels. 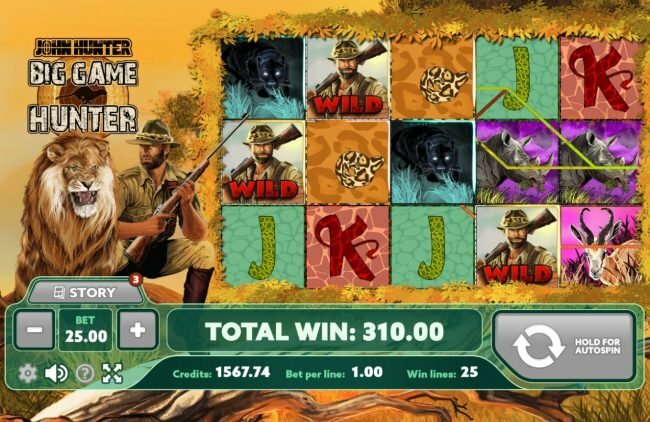 Big Game Hunter Slots has not been reviewed yet, be the first to rate this slot. When we create a video slot like Big Game Hunter, we take into consideration there are many different items we must record. Mainly we point out that the Slot Machine has 25 pay-lines along with 5 reels. 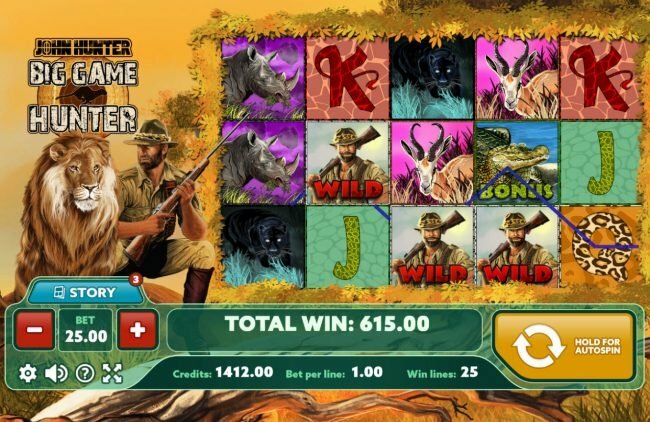 This hunting safari theme based slot machine shows off its depth with rhino, black panther and gazelle, and then Big Game Hunter drives it through with ace, king, queen and jack wrapping up the complete feel. 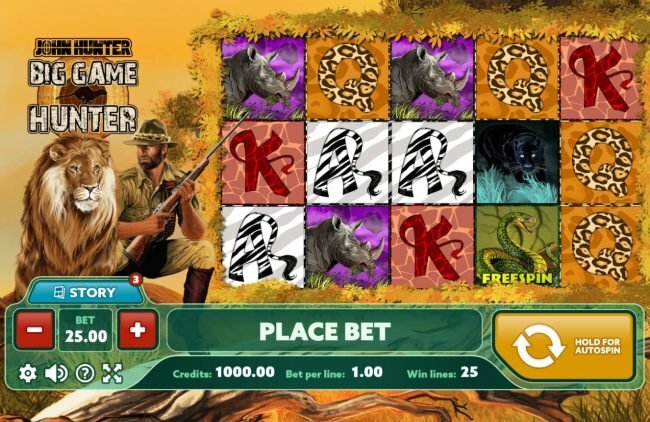 Deciding on a wager size for Big Game Hunter is quite simple, starting with an initial small bet of $0.10 up to a maximum bet of $25, you will have many options. Try to have more than one wild wild icons to acquire a large win. 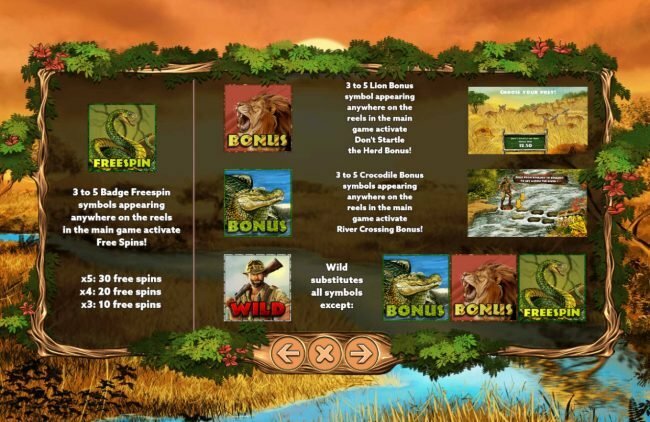 Seeing many scatters icons of the lion Bonus, crocodile bonus and snake Free Spins can land you a handsome win as well. Its bad when at the start of your spin when your first two reels fail to line up but there is still a good an opening of winning a lot with a scatter grouping. I can suggest other online games like Soldiers Fortune as it has 25 lines also, some others including Wild Leprechaun and Penguin Vacation are fun also. As a lot of Play Pearls slot machines like Big Game Hunter interact the same so be sure to pick out a winner. We truly enjoyed reviewing Big Game Hunter, the hunting safari set slot offers some good amount of work that really puts you inside the game having the rhino, black panther and gazelle symbols and sounds. All games offer a great chance of cashing out big but keep your winnings before you lose them. 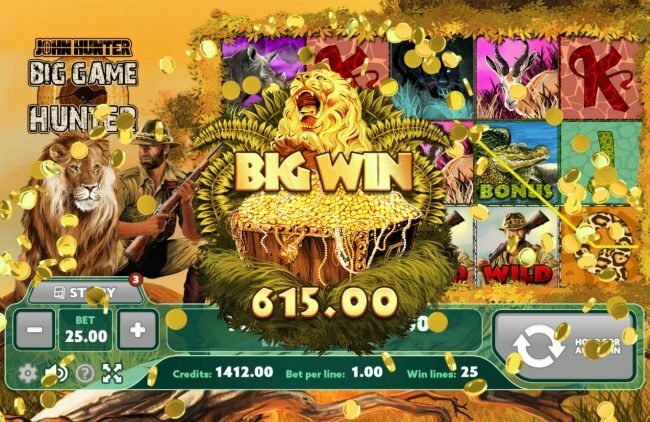 In the playing of Big Game Hunter, you can do well with winnings, to do this get a slot bonus feature win. In Allfreechips online slot write ups I like to finish on the best aspects to look forward to like these awesome Slot bonus games. If you enjoy huge pay outs, the Free Spins would appear to have been placed for you! Simply get three or more free spins symbols appearing anywhere on the screen during the main game for a great pay out. The Don't Startle the Herd Bonus is triggered by getting three or more lion bonus symbols appearing anywhere on the screen during the main game, this extra element seems to pay out quite good. I appreciate the Big Game Hunter River Crossing Bonus as well as the excitement it is capable of. 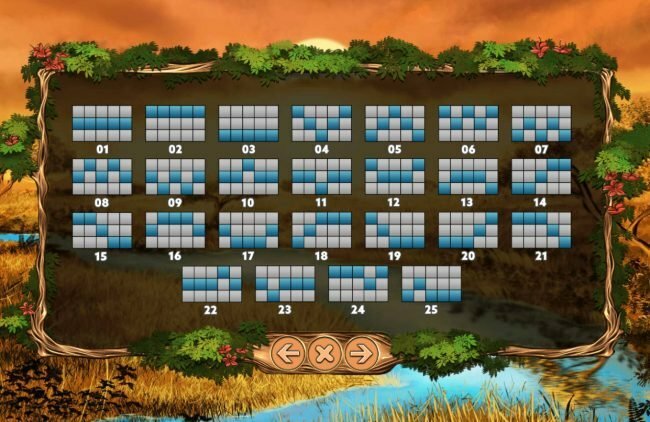 By achieving three or more crocodile bonus symbols appearing anywhere on the screen during the main game this feature will begin. I have to grade Big Game Hunter 5 of 5 stars for the feature games. 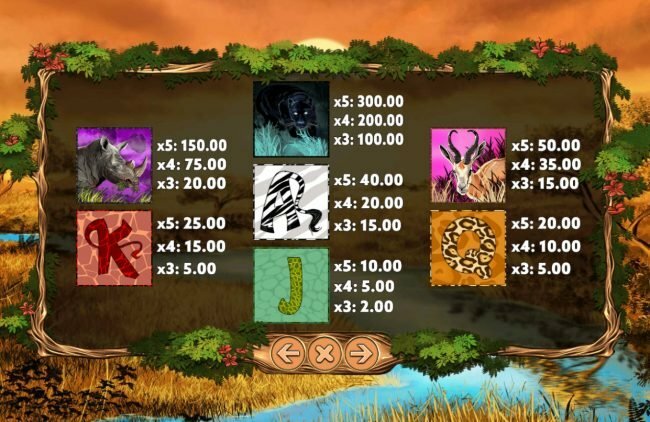 Bonus rounds add a lot of enjoyment to video online Slots, this is obviously the best part of Big Game Hunter.